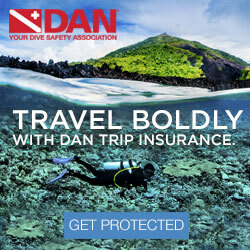 Join me for your next dive trip! 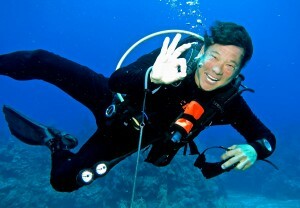 I’m Andy, founder and owner of Colorado Dive + Travel Adventures. I grew up in Florida, where I was exposed to the ocean and scuba diving, but it wasn’t until I joined the US Army in 1978, that I discovered my own sense of adventure. I enlisted for the US Army Special Forces and was fortunate to attend military training in many exciting activities. Other than normal military training that we all receive, I was selected to participate in winter warfare training where I learned to ski and teach skiing, both cross-country and downhill. I continue to do that today at Breckenridge Ski Resort, and for the past 20 years. In 1980, I applied for and was accepted to the US Army Rotary-Wing Flight School and learned to fly helicopters. I flew Blackhawks for my entire military career until I retired in 1998. And more recently, I flew commercial helicopters during 4 years (2010-2014), for 3 separate EMS Providers. But, the most fun and exciting military training I received was with the SFUWO (Special Forces Underwater Operations), in Key West, FL, in 1979. That school was 4 weeks of intense scuba training; both open circuit and closed circuit, with a strong emphasis on teamwork, underwater navigation, infiltration/exfiltration, and the ability to maintain a level of comfort during any stressful situations. Afterwards, I dove sporadically for many years, but 9 years ago, in 2009, I started to dive all over the world; sometimes with friends, sometimes with dive shops, and sometimes I would travel by myself and meet new friends. 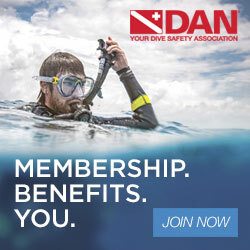 I’ve known all along, that I wanted to organize and lead dive travel, so a few years ago, I completed the PADI Divemaster Certification, so I could not only organize trips, but actually lead dives. Whatever the scenario, I’ve organized many trips, whether for friends, for ski clubs, with travel agents, or by myself. It takes a sense of organization, and attention to detail to create a great group trip. I pledge to all my new friends, to find the best diving values on the planet, provide world-class service, and build fun memories together.